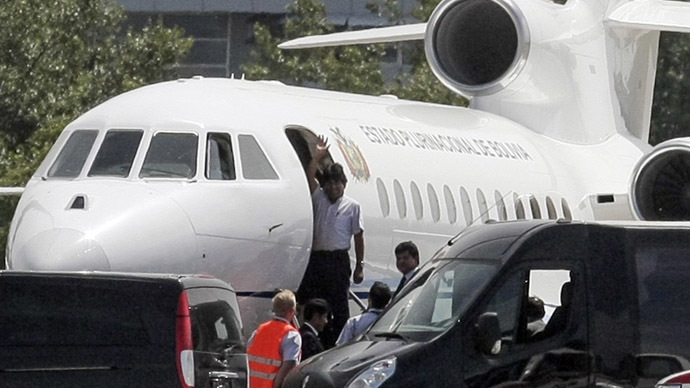 An emergency UNASUR meeting has demanded the governments of France, Portugal, Italy and Spain apologize for forcibly halting President Morales’s plane in Austria due to suspicions Edward Snowden might have been aboard. 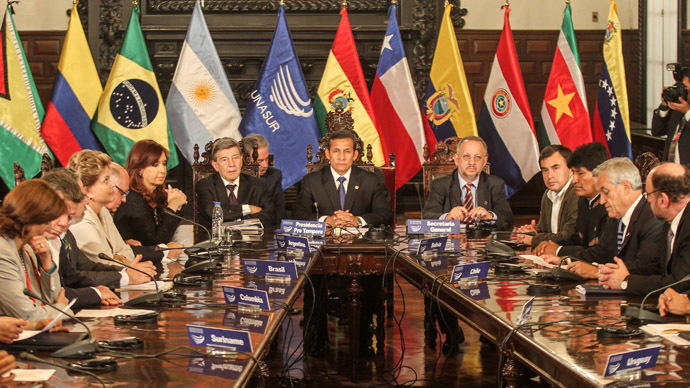 The Cochabamba Declaration issued at the summit also denounced "the flagrant violation of international treaties." Tensions flared at the UNASUR summit in Bolivia, with the country’s president Evo Morales saying that his “hand would not shake” if and when he “closes the US Embassy,” following the forced stop of presidential plane in Austria. 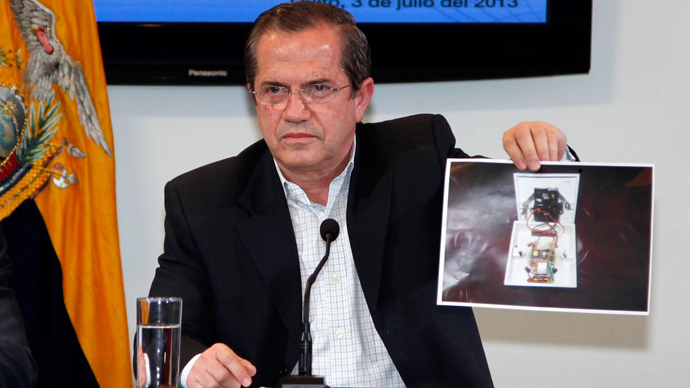 Spain has spoken out in response, stating that it has no reason to apologize to Bolivia. "Spain doesn't have to ask pardon in anyway because its airspace was never closed,” Reuters quoted Spanish Foreign Minister Jose Manuel Garcia-Margallo as saying. Ahead of the summit, the Bolivian President has expressed appreciation for the support he has received so far from Latin American countries. "Apologies from a country that did not let us pass over its territory are not enough," Morales said before talks in the central city of Cochabamba. "Some governments apologized, saying it was an error, but this was not an error." Jose Mujica of Uruguay and Desi Bouterse of Suriname are also attending the summit. Not all the regional leaders attended the summit. The presidents of Colombia, Chile and Peru, who are considered to have strong ties to the US, were not present. However, the delegations of these countries expressed their solidarity with Evo Morales as well. 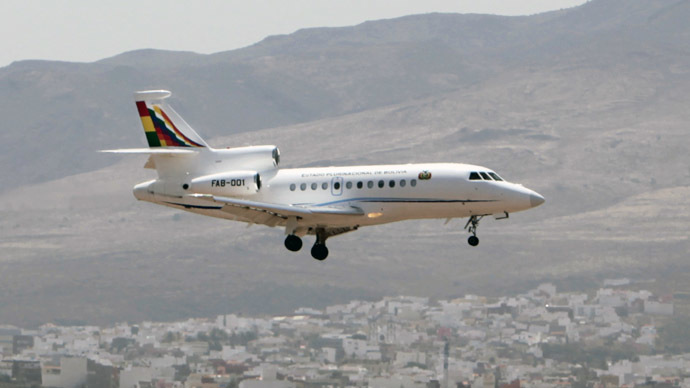 The meeting of South American leaders takes place after President Morales’s plane was forced to stop in Austria on Tuesday. It happened due to suspicions that NSA leaker Edward Snowden was on board. The plane was searched by Austrian authorities, but they found nothing. All in all, the President’s layover in Vienna lasted for about 14 hours. 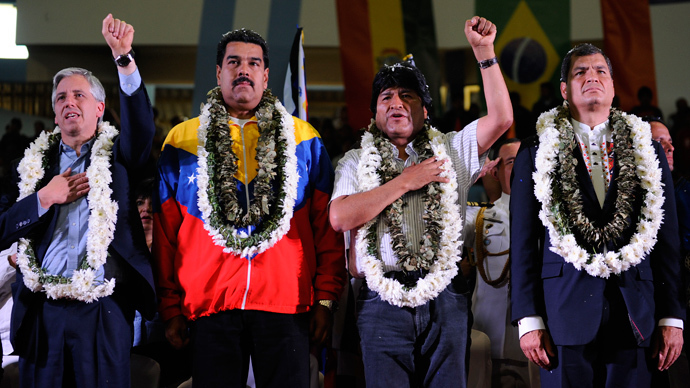 Morales received a hero's welcome at the airport in Bolivia’s capital of La Paz late Wednesday night.